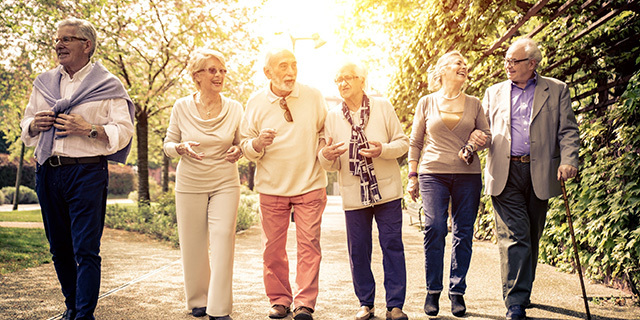 The world's population is ageing and common chronic diseases affecting older people, such as osteoporosis and sarcopenia, place a significant burden on the individual as well as the healthcare system. ​To address this knowledge gap, Professor Gustavo Duque from the University of Melbourne and the Australian Institute for Musculoskeletal Science (AIMSS) assembled a multidisciplinary team to develop an education course specifically designed for busy healthcare professionals. "These are very new diseases and as researchers and clinicians in this constantly evolving field we wish to empower HCPs with the latest breakthroughs in assessment and treatment to assist their older patients," Professor Duque said. This highly interactive course, Osteosarcopenia: Preventing falls and fractures, provides healthcare professionals with the tools to effectively identify at-risk patients, manage and treat these new diseases. Developed in collaboration with the Mobile Learning Unit, e-learning modules are accessible across any smart device, including a mobile phone, tablet, or computer. The course is structured into small building blocks, to logically build a solid foundation of practical knowledge which can be immediately assimilated into daily practice. "The knowledge and skills implemented from this course will ultimately provide older patients with confidence and freedom once they are identified and actively engaged in an appropriate treatment program," Professor Duque said. "It's important to ensure older people maintain their independence for as long as possible and this course provides HCPs with the necessary framework to keep their patients from prematurely increasing their morbidity and mortality risk," he said. "Our multidisciplinary team is actively involved in cutting-edge clinical trials and research and our course delivers the latest developments in this field for HCPs to assist older people with maintaining a quality of life." Aimed at primary healthcare physicians and allied health professionals, this 15-hour RACGP Category 1 accredited e-learning course, accessible across multiple platforms, includes six tutorials for obtaining knowledge and skills, readily assimilated into daily clinical practice, in osteoporosis, sarcopenia​ and osteosarcopenia. There are 12 interactive cases studies and the course can be progressed or suspended, when necessary, to balance learning with other commitments. Content is divided into a series of small blocks, which layer to form a tutorial, building knowledge in stages. A learning unit can be completed in a matter of minutes and users are in complete control of their learning pace.